– Did you know that, because of Jamie Oliver, a national (UK) asparagus shortage was declared in 2006. – 2000 people a week turn vegetarians in the UK (a 2006 Survey). -In Japan, Coca Cola is linked with beauty product company ‘Shiseido’ to make a grapefruit and seaweed beauty drink with a matching hydrating body spray!!! 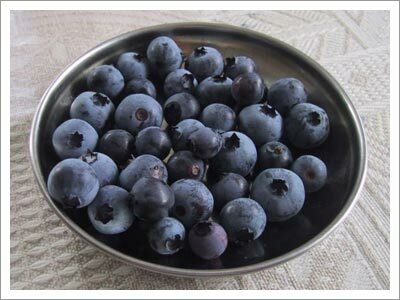 – Blueberries sales were increased after they were found to be super rich in antioxidants and to have memory-boosting and cholesterol fighting powers ..
good info ! time to eat some blueberry’s . i have a darn short term memory ! Thanks for stopping by, and I’m happy/glad that you like what I write.. Thanks for the support. I have a short term memory, and I need to boost my memory capacity, but I’m not a blueberry person.. If it was strawberry ,, things will be different.